hennemusic is pleased to deliver the live stream of Band Together, a benefit concert headlined by Metallica at San Francisco's AT&T Park for those affected by the recent wildfires in California. 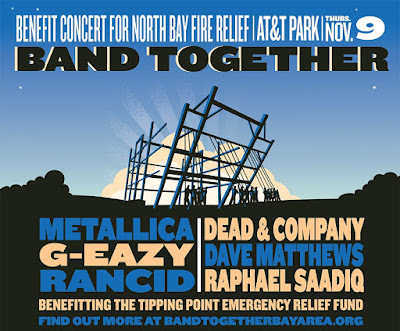 The metal icons – and longtime Bay Area residents – top the bill alongside sets by Dead & Company, Dave Matthews and Tim Reynolds, G-Eazy, Rancid and Raphael Saadiq. The event will raise funds to assist families impacted by the fires and honor the thousands of first responders. “[Last] month Northern California, the community that we have called home for over 34 years, suffered devastating wildfires that have destroyed homes and displaced over 100,000 of our neighbours in Napa, Sonoma, Mendocino, Lake and other counties in the North Bay,” says Metallica. “We’re extremely saddened by the suffering that so many are feeling in the Bay Area, but are also inspired by the enormous outpouring of love and support from all around the country and want to jump in and help in the way we know how to - through music! 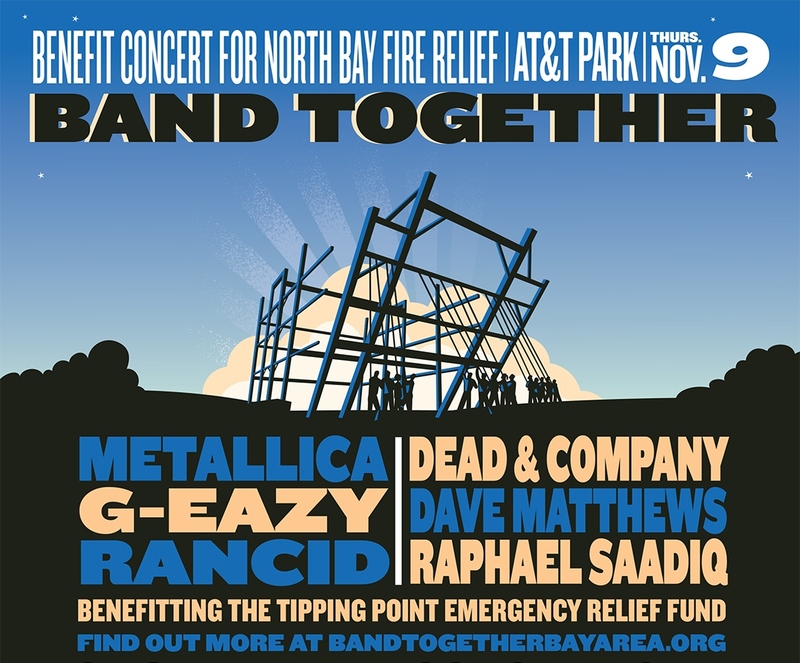 For more information on the event and how you can help, visit bandtogetherbayarea.org.